Present situation - No unity in diversity; politics and religions shattering national integration. 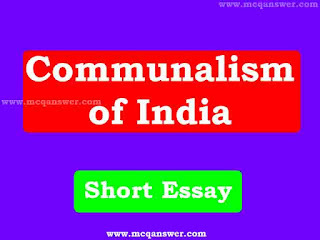 Communalism disharmony is the burning issue of the day in India. Ours is a country with diverse culture and different religious groups and communities. The amity among Indian masses is absent for three important reasons. 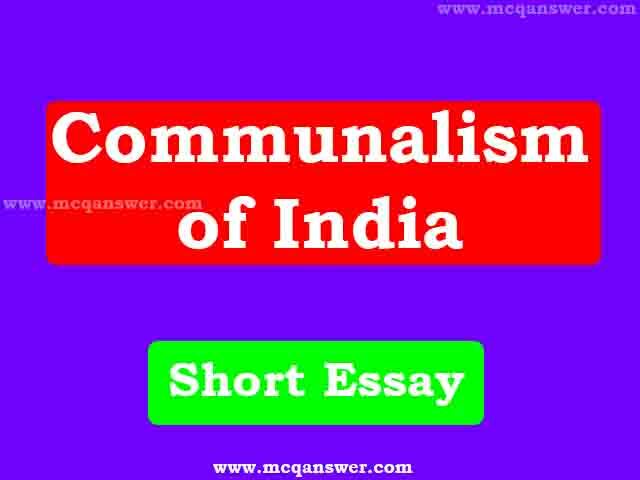 Social injustice, the fanaticism of fundamentalists, and uneven and unequal distribution of wealth are the factors largely responsible for communal disharmony in India. As a result of this, the country is passing through a terrible time. Politics and religions have shaken the country by its very roots. For their mean and selfish communal gains, the Hindus, the Muslims, the Sikhs, and others are at enmity with each other. The fanatic Hindus want to make India a Hindu State. The demolition and destruction of the Babri Mosque at Ayodhya was the first step towards the fulfillment of their dreams. The fundamentalists among the Muslims always dreams of yet another Pakistan for themselves within the Indian territory. And the militant Sikhs in Punjab have been fighting for free land for themselves, namely Khalistan. In addition, the Bodos in Assam, the Gorkhas in Darjeeling and the Santhals in Chhotonagpur Plateau are fighting for separate lands. At this critical moment, all patriotic Indians should fight these communal forces to keep India's secular character intact.